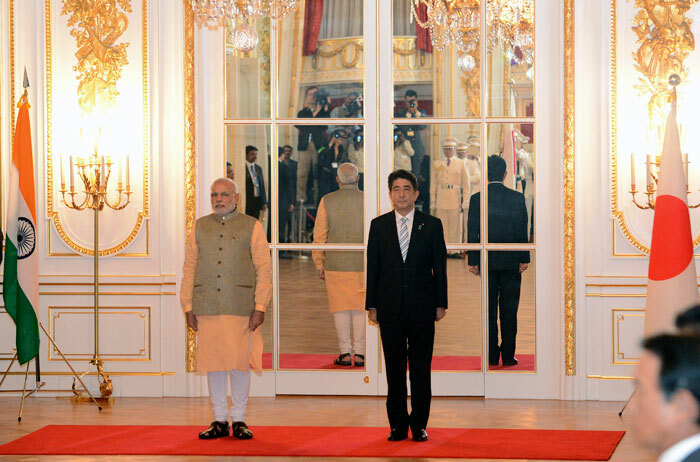 Narendra Modi is on 5 day visit to Japan for the development of India. He promised better infrastructure development, defence, economic and other sectors. 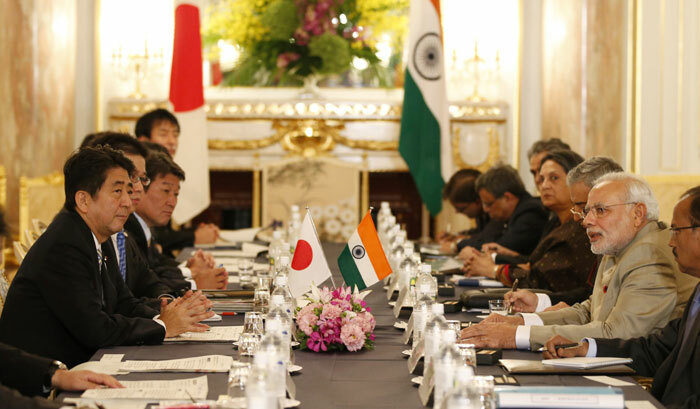 Japan is investing $35 billion in India with the full development of smart city, infrastructure, railways and defence sectors. The investment is for 5 years. India is rich in minerals but there is lack of knowledge to use that resources or minerals but japan is vice versa of it, they have knowledge of using the resources and minerals but they lack with the resources. They are totally dependent on china for so NaMo gave them all they want but he said to develop India fully with same smart city as Tokyo, bullet trains, buildings, bridges etc. 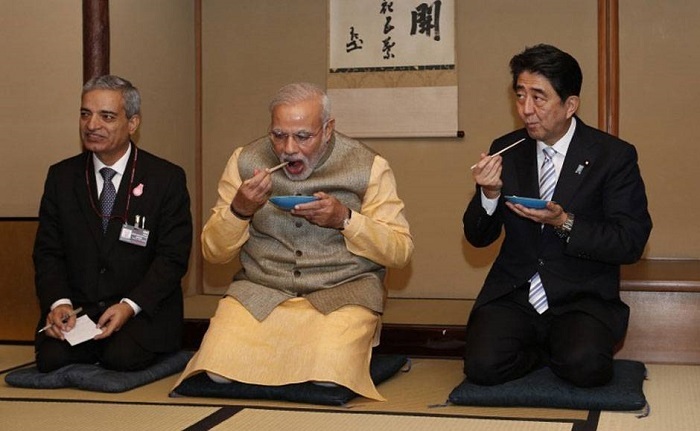 Narendra Modi’s chai pe charcha has been very famous in India and now it was same organized in Japan by their ministers as you can see the below image. 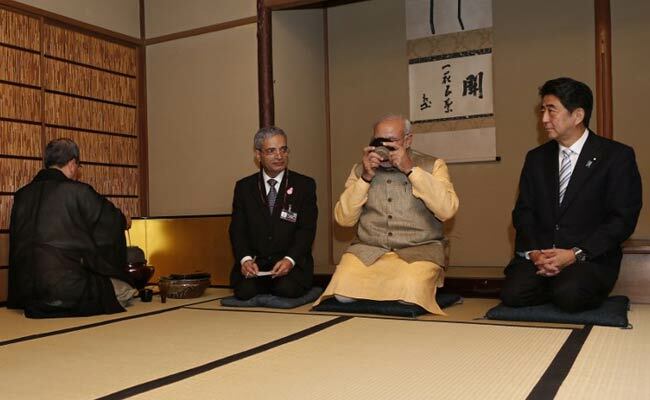 Modi drinks tea with Japan’s PM. Everywhere there is Namo-Namo. In past when any ministers or prime minister goes to any country’s visit there was nothing special in that news but now every newspaper, channels will not leave the news of Modi. Where he goes, what he does everything is being capture by them. There would be no any single day without the news of Modi. When Modi headed to Japan the PM Shinzo Abe came at airport to receive Narendra Modi and I don’t think so that PM before came to receive. So you all can understand what’s the Namo is to India. He will ultimately change whole structure of India by the development. Japan’s PM is extending its relationship with us. There were many deals which were signed. Modi visited many Buddha temple in Japan. Let see where the train of Modi keep going on in Japan visit. Today was the last day of PM Narendra Modi in Japan. He delivered lecture in University of Sacred Heart in Tokyo.